Not that long ago, the only way people could monitor many health-related issues was through time-consuming and expensive appointments with their physician. For example, those with cardiovascular disease needed to be hooked up to machines at the doctor’s office to collect data. Not only did they have to take time out of their day to get to the doctor, but the data was only for that day. Now, thanks to the advent of wearables, people can monitor their health on a more regular basis and provide their physicians with up-to-date information without having to leave home. Let’s take a closer look at how wearables are changing how users and medical professionals monitor health data. Healthcare wearables come in a variety of shapes and forms. There are the popular smartwatches like the Apple Watch that pairs with the iPhone 7 as well as the Pebble and Samsung Gear S2. In addition, there are patches that are worn on the skin, eyeglasses, headbands and clothing items like shorts and shirts that act as wearables. What these devices share in common is the ability to gather raw data from the wearer and then send it to a database where it can be analyzed. With these devices, users can continually keep tabs on their health during their everyday lives and send the data to their doctors who can track patterns and be alerted to any problems. People no longer have to wait to go to the doctor’s office to be monitored and medical professionals have more reliable data to work with. While wearables like smartwatches are made similarly to your smartphone, some of the more intricate devices are manufactured in state-of-the art laboratories. For example, Google smart contact lenses, which are designed to measure glucose levels in tears with a wireless chip and tiny glucose sensor, are made by carefully embedding the technology in between two layers of contact lens material. As wearable medical devices become more popular, there may be an increase in jobs in the manufacturing industry as well as more highly regulated facilities that can handle this type of precise and pristine work. Healthcare wearables can be used to monitor a wide variety of health issues. The most common include diabetes, cardiovascular disease, sleep disorders, asthma, epilepsy and obesity. While many people are familiar with wristbands like the FitBit, the technology is expanding in exciting ways. For example, HealthPatch MD is a biosensor that tracks the wearer’s skin temperature, heart and respiratory rates, and body posture. It also includes a fall detection feature. Another example is the MiniMed 530G system that closely monitors glucose levels and automatically dispenses insulin in a way that mirrors the pancreas, which could be used by diabetes patients. In addition, a company called Spire is working on a wearable that tracks the wearer’s breathing patterns and links it to mindfulness and anxiety. 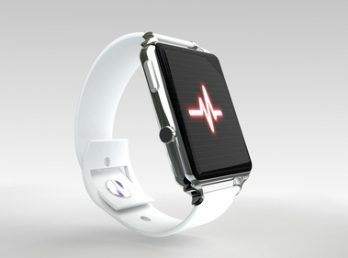 1 Response to "Healthcare Wearables: What the Future Holds"
Thank you for sharing such a Wonderful Article. While surfing different articles I found the below info quite useful. I am sure it this article will add value to your website.